Conflicts of generations with their generally authoritarian and patriarchal parents. Alas, today, the siblings of the Moroccan migrants are emotionally alone, psychologically bruised and totally destabilized. They do not feel to belong to their country of origin and extraction, nor to their country of adoption and birth, so, in principle, they have evolved into an easy prey for religious radicalization by brainwashing undertaken by international Islamist master terrorists. Indeed, since the establishment of Jihad in Afghanistan in 1980s, to drive the Soviets out of this Muslim country, many religious organizations such as al-Qaeda, then, ISIS, today, and many others have taken upon themselves the recovery of such “abandoned” youth, branded by their countries of origin as “black sheep,” and their formation and orientation in the sense of the so-called “Glory of Islam” by combating the Western world nicknamed “Crusader,” salibiyuun, forces and their destruction, to attain and deserve paradise and be welcomed into it. 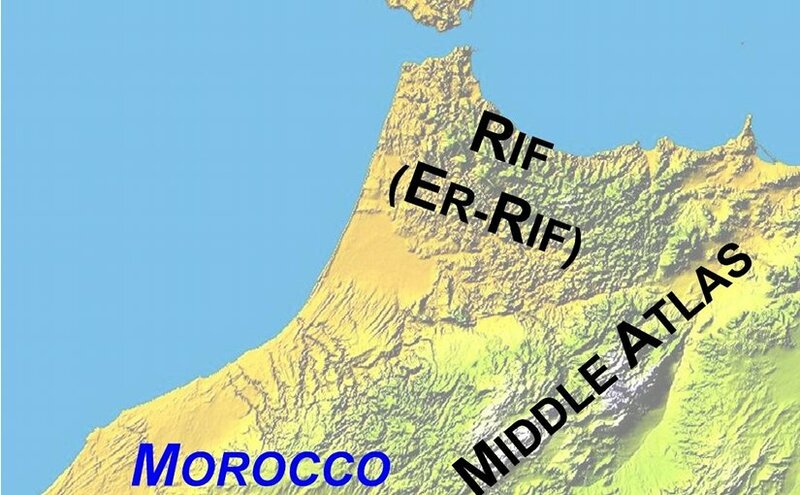 Location of Rif region in Morocco. Credit: Wikipedia Commons. In the fifties of the last century, Europe, in full reconstruction thanks to the American largesse of the Marshall Plan, was in great need of strong arms for this task. Once again, after the recruitment of the Amazighs of North Africa into the European armies to defend it against Nazism, the old continent turned to this people for its reconstruction, after the end of World War II. Thus, recruiters criss-crossed the mountains of North Africa in search of young, healthy and strong Amazigh males, renowned for their stamina and seriousness. The majority of this youth were illiterate and many spoke only Amazigh language. On arrival in Europe, they were first housed in ghettos and a few years later they returned to the bled, i.e. home, on vacation, with money and gifts, and spoke generously of “the European Eldorado”, while arousing the admiration and jealousy of those who remained behind, who in turn, did everything possible to immigrate to Europe, to share in its “boundless wealth and bounty.” In some clans of the Rif, like Iherassen of the Gzennaya tribe, given the difficulty of acquiring a passport minted by the corrupt officials, dozens of Rifian males, sporting the same surname used the same passport by changing the photo to immigrate to the “European paradise.” The European governments, aware of this illegal practice, closed their eyes because they greatly needed this cheap workforce for their thriving economy. To better accommodate its immigrants, Europe had made it possible, in the 1970s, for family repatriation. Thus, young people were born on the European soil and grew up in liberal democracies. Some took the opportunity to study and become executives, but many went wrong and took the wrong path: drug-selling, pick pocketing, petty crime, fraud, organized crime, etc. after which they were arrested several times by the police and filed. In the long run, these youngsters have become black sheep and, unlike their relatives attached to their country of origin and its culture and values, they, on the contrary, have had a great problem of identity and belonging. Feeling totally isolated from their families, too traditional, and their European country of birth, racist and stigmatizing. 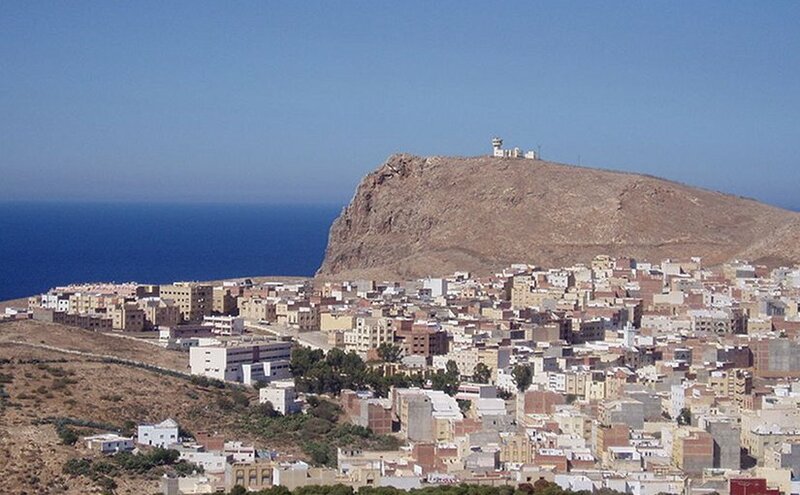 Town of Al Hoceima in the Rif province of Morocco. Photo by Westonmr, Wikipedia Commons. Thus, this culturally and psychologically traumatized youth became an easy prey to Islamist terrorist centers of Wahhabi inspiration and religious ideology, having generous access to the petrodollars of the Gulf countries. Once in the arms of these master terrorists and “sellers of violent death,” wrapped in a disfigured and violent version of Islam, they were gratified by easy money and comfortable identity sought after and desired, with, as a bonus, the tempting promise of paradise and its innumerable delights and creature comforts. Many media outlets in Western countries that have Islamophobic tendencies and driven by journalistic sensationalism have precipitately linked these young victims of terrorism and Islamism to their country of cultural origin: Morocco. “At the heart of terrorist strikes across the world over the past 15 years lies the Rif. A mountainous region in northern Morocco, stretching from the teeming cities of Tangier and Tetouan in the west to the Algerian border in the east, the Rif is an impoverished area rich in marijuana plants, hashish peddlers, smugglers, touts, and resistance heroes that has rebelled against colonial administrators, postcolonial kings, and any authority imposed from above. For the children of the Rif who have been transplanted to Europe, this background can combine with marginalization, access to criminal networks, and radicalization to make the vulnerable ones uniquely drawn to acts of terrorism. 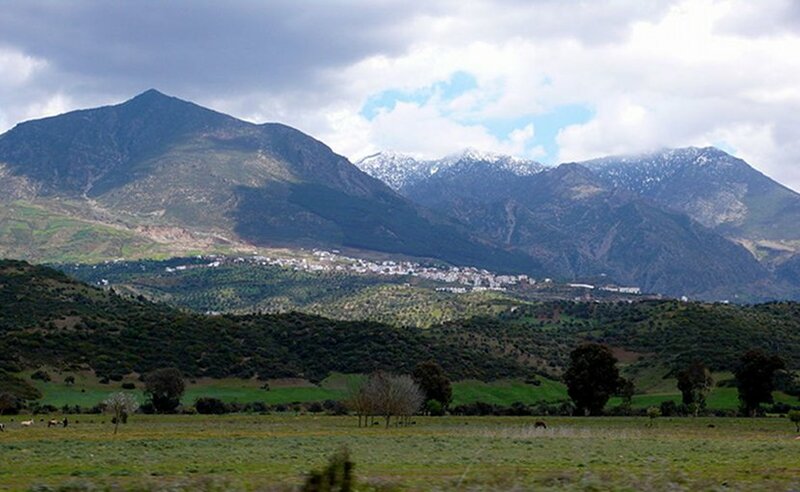 Rif Mountains in Morocco. Photo by Gabi, Wikipedia Commons. This so-called journalist had traveled through Morocco hastily and had literally no basic knowledge of Amazigh culture imbued with tolerance, respect for the other and a sense of cohabitation, for the last 5,000 years. She reached a hurried and an undocumented conclusion that the Moroccan Rif is undeniably the heart of global terrorism, for the simple reason that the terrorist apprentices of ISIS, in recent years in Europe, trace their origin to the Rif, but were born and raised in Europe. However, one wonders how, logically speaking, can one condemn a country of origin for the violent behavior of people whose parents are from that country but are themselves physically born and bred in European countries? “Heartland of global terrorism” as if all known terrorism originates in this area. 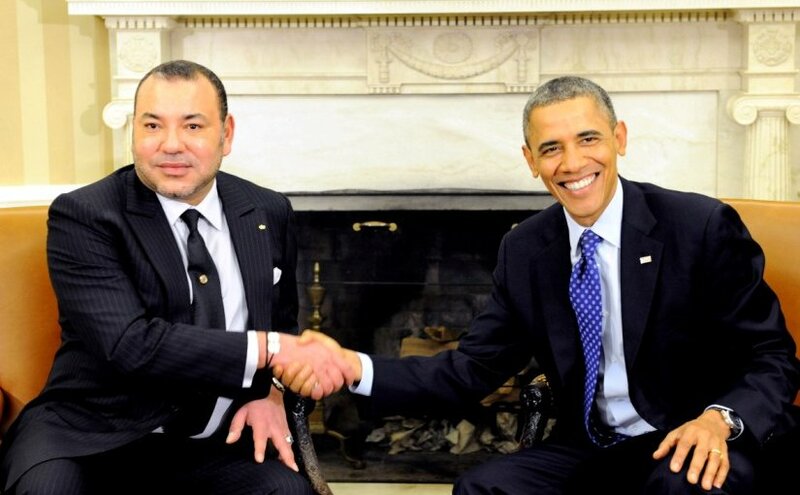 Morocco’s King Mohammed VI and US President Barack Obama. Credit: White House. And for those who believe that the Western press is an example of righteousness and probity, such a partial behavior will give them a lot of thought. stressed Khan, also, director of the UN Counter-Terrorism Implementation Task Force (CTITF). 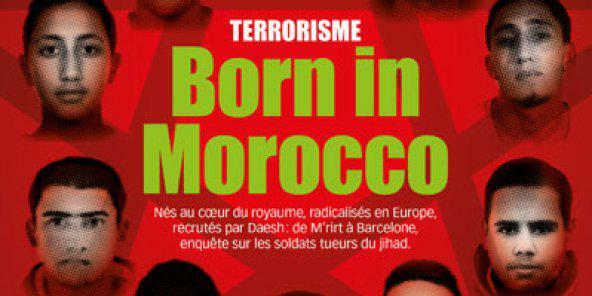 Now, bearing this in mind, one wonders how Morocco can be a “heartland of global terrorism.” It does not make sense at all. It is either a gross misconception or a sensational journalistic cue to make the pieces of Foreign Policy and that of Jeune Afrique, afore-mentioned, very successful. 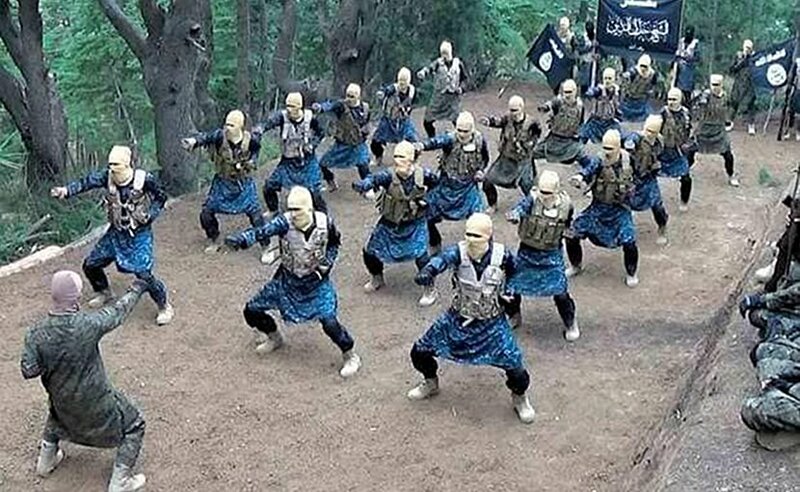 ISIS terrorist training camp in Afghanistan. Photo: Screenshot from ISIS propaganda video. The last step is the conversion of recruits into killing machines. They are trained to believe that their death for the Glory of Islam is the utmost form of martyrdom, istishehad, which will open to them wide the door of paradise and will gratify them with eternity. However, Islam, as such, has never been a religion of violence and death for presumed glory. Islam is a religion of peace, cohabitation and love and respect for others in their culture and creed. European politicians have always preached multiculturalism and integration, but, alas, this has been just empty talk because Muslims all over Europe have felt marginalized on the grounds of their culture and creed and, consequently, Muslim youth became easy prey for religious radicals such as al-Qaeda or ISIS. Realizing that the French policy on the integration of Muslims has been a total fiasco, ex-French Prime Minster Vallsxi accompanied by 11 ministers of his cabinet visited Vaulx-en-Velin in Rhones, where in 1990 riots erupted as a result of discrimination and following that the French government created the “Ministère de la Ville” to bring economic relief to the ghettos. But almost three decades later, unemployment is still high among the youth, indeed half of the 25 years old young people are jobless, which means that the apartheid system denounced by ex-French Prime Minister Valls on January 2015, following, the Charlie Hebdo terrorist attacks, in such strong words as: “l’apartheid territorial, social et ethnique,” is still very strong. However, despite of this positive move on the part of the French government to fight the apartheid, yet on a different register, it is fighting a ridiculous and inconclusive war on the wearing of Hijab in educational institutions such as the University and what is more is that the government is divided on this issue. This misbehavior on the part of Muslim youth is the result of their marginalization in their countries of birth and non-adoption because of their culture, creed and color and it is the responsibility of European governments to have a more inclusive policies vis-à-vis their citizens, whoever they are. These terrible terrorist attacks are a wake-up call to heed with attention and responsibility and act, consequently, upon, at once. As for the arguments and assertions of various journalists like Leela Jacinto in magazines like Foreign Policy, and those of Jeune Afrique, etc. they are an unacceptable way and approach for explaining migrants’ offspring violence for they duly sweep the problem under the rug and blame the others for own incapacity to solve own structural problems, rather than looking earnestly for the real roots of the malaise and origins of the predicament. “The stars of the Kingdom shine in the heavens of tourism and investment, by the names of young Moroccans working in aeronautics and space centers and agencies in the United States, Japan and France, as Kamal Oudrhiri at the American NASA Agency, Rachid Amrousse at the Japan Aerospace Exploration Agency Jaxa, Ahmed Bachar at the National Center for Scientific Research (CNRS) in France, Nacer Ben Abdeljalil who carried the Moroccan flag at the top of the Everest in the mountains of the Himalayas, or Merieme Chadid, astronomer and first Arab woman to set foot in the Antarctic during a scientific mission and exploration, Asmae Boujibar, the first Arab woman to integrate NASA … Not to mention the leader of the Moroccan scientists of the world, researcher Rachid Yazami, inventor of graphite anode for lithium-ion batteries. Khalid Rahilou, Badr Hari, Mustapha Lakhsem and many other martial arts champions have all made their mark on the international stage. For their victories, the national anthem was sung, as for those of Abdeslam Radi, race champion, or black pearl, Larbi Ben Barek, outstanding footballer. Moroccan names in various sports that have led European, American and Asian teams on the podiums, like Abdellatif Benazzi, captain of the France Rugby team. Gad El Maleh, Jamel Debbouze, Said Taghmaoui and Red One are stars that have shone in the heavens of the seventh art, music and humor and have left their mark on many world festivals and scenes artistic works. Rachida Dati, Najat Belkacem, Myriam El Khomri, Ahmed Boutaleb, Samira El Aouni, Fatima Houda-Pepin, Mounir El Mahjoubi and all these deputies, advisers to ministers, mayors of European cities, international institutions, think tanks and institutes of surveys.